Welcome to Polystar Containment! 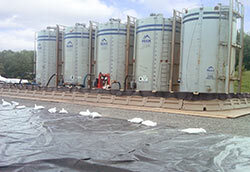 We manufacture and install spill prevention and secondary containment systems. 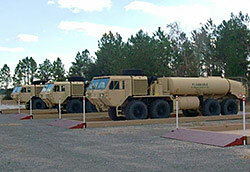 Polystar offers unique spill containment systems for many different industries, including military, oil and gas drilling, fracking, rail car, petroleum, and more. We specialize in secondary containment systems for rail tankers, truck tankers and above ground tanks that store hazardous materials. 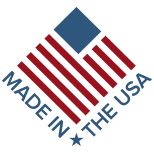 Polystar Containment manufactures products that meet SPCC requirements as well as the containment of other hazardous materials. Need a custom storage solution built to your exact specifications? Try our interactive hazmat storage builder and create a custom building that meets your needs. Whether the job requires something from our standard line of spill containment systems, or you are in need of a custom system built to match your exact specification, Polystar has the secondary containment solution that's right for you. Polystar proudly manufactures custom secondary spill containment products for containing hazardous materials such as biofuel, chemicals, ethanol, oil, gas, diesel fuel and petroleum, fertilizers and pesticides. 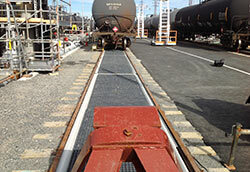 Our quality products include fiberglass containment berms, truck containment fuel bladders, dike walls,pallets, curb-style and track collector pan systems for railcars. We help achieve SPCC compliance for gas and oil refineries, class one rail and railcar companies, general industry, well services, hydraulic fracking and drilling companies, military and government entities. We also have 25 years of experience providing quality above-ground storage tank secondary containment systems and spill prevention for tanks, fuel pads, liquid terminals, substations, pipeline delivery and mobile refuelers.